I’ve been digging around some old magazines and saw this interesting article about selling used books. The magazine is quite old, about 6 years ago but the information is looks very useful and can still be applied today. Even though you can search the internet with lots of information with just a click of a mouse, still many people are fond of reading books. And one way to make it affordable and reach a lot of people is by bringing the price down. The only way to bring the price down is by selling second hand books because brand new books can still be unaffordable even on discounted prices. To sell used books successfully you must have enough capital, a good and consistent source of cheap second handbooks, and the right mix of titles to win customers over. To get started in the used book selling business, you must decide what type of outlet to set up. 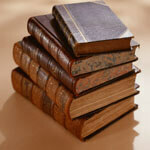 With a specialty bookstore, you can focus on the rare, old and special interest publication. Compared to a general bookstore, you can tap into a wider market but it will require a bigger investment. The key ingredient to successfully run a bookstore is finding a trader who can offer a wide selection of books at low prices. According to a well known entrepreneur on the used magazine business Filemon Barbasa, he estimates that the a rent inside a mall will cost you P150,000 and initial investment of P100,000 so a minimum of P300,000 is what you need to invest on setting up a secondhand bookstore. You also need to register it on DTI ( Department of Trade and Industry) which is a must, and secure local government permits, and buy fire insurance because books are made of paper which is a fire hazard. Since used book suppliers are the ones taking care of importations for imported book, if you want to import used books yourself then be prepared for paying freight, insurance, handling, tariff and other Customs charges. So a good idea is to hire a customs broker to help you with the paper works. Your success will depend on the quality of your titles and how you serve customers so I think that is another key factor. Like other kinds of businesses, you must put as added value to your products of services. For example, you can give discounts or freebies to your customers. Booksellers says that the titles you carry must match what the buyers are patronizing on each outlet if your bookstore have branches of course. So consistency is a very important too. If the title is not selling well then mark it down or move it to another branch, or stop ordering. Also, it is very important to know that customers are always seeking new titles and not all books listed as blockbusters abroad will sell here. Look for a good location – location is the most important factor because a commercial place usually has more buyers than a place with very few people. Aside from that, the ambiance and comfort of customers browsing on your books should also be considered with enough room for storage and browsing. Reward loyal customers – there is a saying that it is easier to get new customers than to retain existing customers. So offering some incentive to your loyal customers should also be a priority than offering it to a potential customer that you will never know if they are going to buy from you or not. Invest in marketing – there are lots of ways to market your business specially on this internet age. Newsletters can be sent by emails, advertise on the internet, join social networking sites like facebook. Hire the right staff – not all people are fond of books so find those who are comfortable with books. Be open to suggestions – a suggestion box is a good idea and giving your email address for feedbacks. To give your email address to your customers, you can give business cards, put it on your website or your store, on plastic bags and so forth and so on. Shape up – research other bookstores here and abroad (if possible) to find out what they are doing to give you an update of the latest trend. I have always loved reading books and now I want to open a bookshop. I got some useful tips on what you wrote. Thanks. I really love books and someday I hope to have a bookstore business.. I will keep this info.